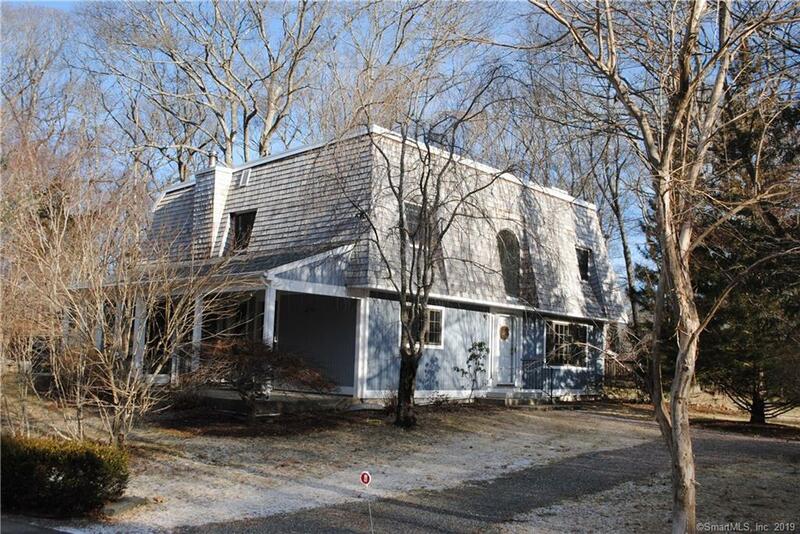 317 Flanders Road, Stonington, CT.| MLS# 170160743 | Eastern Connecticut - Homes for Sale...from Mystic to Moosup & More ! From the Shore to the Country ! Conveniently located near I-95 exit 91 and just around the corner from the newly built Deans Mill Elementary School, the property is also a short drive to Stonington Borough. Walk through the light-filled 2 story foyer with its palladian window and turn right into the formal living room. Here the hardwood floors and wood-burning fireplace greet you with warmth and hospitality. Beyond lies the open floor plan family room/dining room which leads to the kitchen. Also off the family room is a sun room soaking in the southern light. The home's contemporary design with 5 bedrooms upstairs offers a flexible floor plan taking advantage of a new deck looking over a beautiful wooded sanctuary. Directions: From Pequot Trail, Head South On Flanders; Second Drive On Right After Pellegrino Road.